Love it! Or hate it! We got both these reactions when talking to other travelers about Phnom Penh! We actually liked it and wished we’d spent more than a week there. There is a sense of energy and excitement in the city and yet along the riverfront life takes on a slower pace during the day, with coffee shops and restaurants inviting tourists like ourselves to sit a while and watch the boats along the river. At night the street turns into a backpackers party mecca! It was here, one lunchtime, that we met an interesting couple from Chicago who had sold their home and all their possessions and had been traveling since 2015, house-sitting as much as possible. They gave us the name of the agency they used to find house-sitting “jobs” and had our heads spinning with great ideas about our possible next adventure! The hotel we chose was in a quiet part of town, one where Embassy and Government officials live, making it extra safe. A $3 Tuk Tuk ride got us wherever we needed to go around town. Situated on the banks of the Tonle Sap and Mekong Rivers, Phnom Penh has been the capital of Cambodia since the French colonization in 1867. Today it’s the center of commerce, government and diplomatic missions, attracting international business travelers as well as tourists. Once known as the Pearl of Asia due to its beautiful French colonial buildings, today you have to search them out amidst the new buildings and traditional Cambodian houses. Everywhere we looked we saw cranes rising into the skyline erecting yet another skyscraper – either a hotel, apartment complex or office center. As in most Southeast Asia cities, markets and street food stalls abound offering food that is inexpensive and delicious. The first thing we needed to take care of when we arrived in Phnom Penh was our Vietnam Visas. 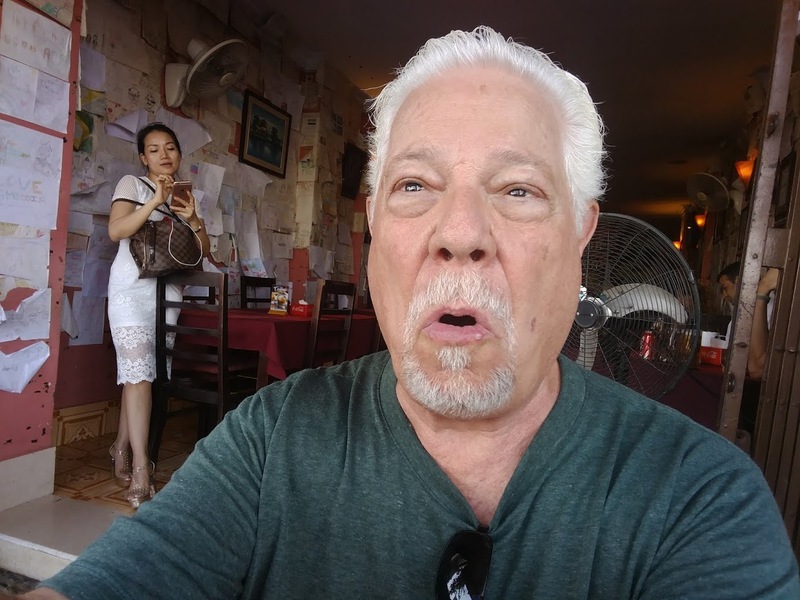 Vietnam requires that visas be obtained prior to arrival so we used Facebook Messenger to contact about a dozen travel companies in town to see who could assist us. Within a few minutes we had a reply from 2World Travel and arranged for a Tuk Tuk to take us there, fully expecting to spend about an hour filling out forms, producing passport photos, etc. Much to our surprise, the agent took our passports, gave us a receipt for payment ($60 each for a 90 day visa) and said the visas would be ready in three days! No paperwork or photos required! We had taken copies of our main Passport page with us so we had identification while we were without our Passports. Three days later, as we were enjoying breakfast at our hotel, a courier arrived with our Passports duly stamped with our Vietnam Visas! Wow … we were impressed! This was the most painless Visa process we had experienced on our trip! 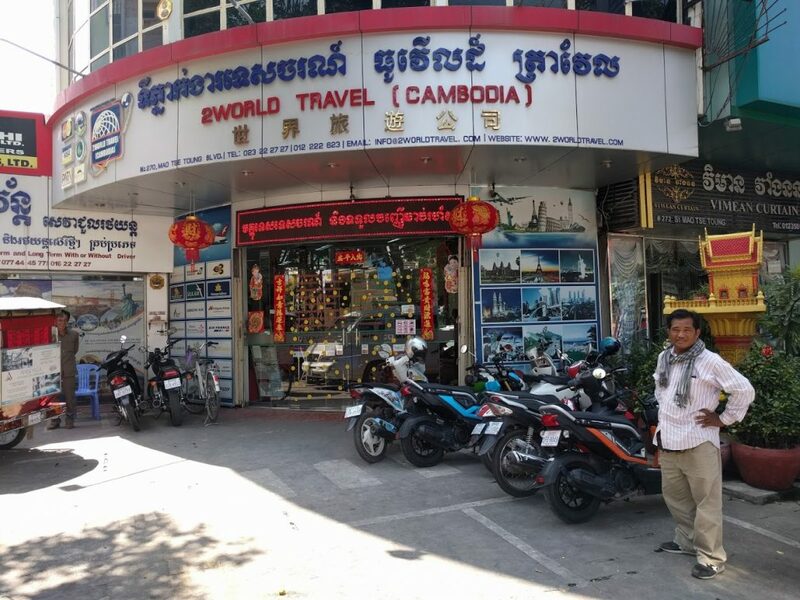 2 World Travel also offers tours within Cambodia and throughout Southeast Asia and if their tour service is anything like their Visa service, we feel confident their clients will be extremely satisfied. 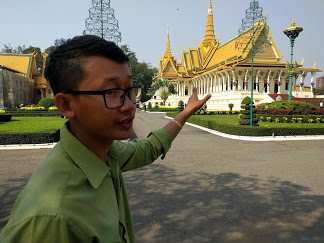 Unlike Laos, where the Royal Palace is used as a Government building and not open to the public, the Royal Palace compound in Phnom Penh welcomes visitors. The King, currently His Majesty Norodom Sihamoni, lives in the Palace which is also used for Court Ceremonies. We decided to have a 45 minute guided tour and, although our guide spoke good English and was knowledgeable, we think it would have been better to use an audio tour instead so we could take it at our own pace. The Palace closes at lunch time so it’s important to get there early to avoid being forced to leave! The grounds and buildings are beautifully maintained and, in fact, reminded us of the Royal Palace in Bangkok. Within the Palace grounds are several Stupas, the Throne Room and the spectacular Silver Pagoda, so named because the floor is inlaid with 5,329 solid silver tiles! It contains priceless treasures including the Emerald Buddha made of Baccarat crystal dating back to the 17th century and another Buddha statue decorated with 198lbs (90kg) of gold and over 9,000 diamonds! Shoes off and no photos in this building! Although it was quite crowded inside, we were still able to appreciate the splendor of the building and its treasures. We were fascinated with the mural on the inside of the compound wall which, we found out, was the Khmer version of the Ramayana. Restoration work was in progress and, when finished, will add greatly to this superb Royal Residence. 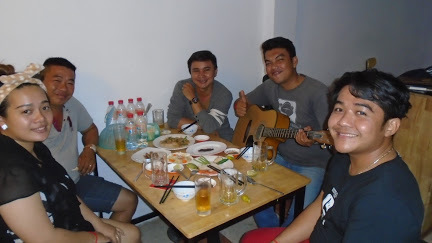 What Else Did We Do in Phnom Penh? After traveling through three countries and twelve cities, each one claiming to have the most famous Wat (Temple), one gets a little leery about visiting yet another! Wat Phnom, located on the only hill in the area, close to Riverside was worth a quick visit to see the temple sanctuary and grand staircase guarded by lions and nagas (snakes). An event was about to take place and many monks were arriving which made an interesting scene. 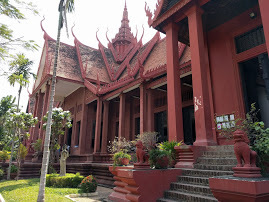 We also visited the National Museum of Cambodia, just north of the Royal Palace. The striking traditional style building sets the stage for what is considered the finest collection of Khmer sculpture in the world. It’s a good idea to have a guide here to explain the many different pieces otherwise they all look alike after a while! 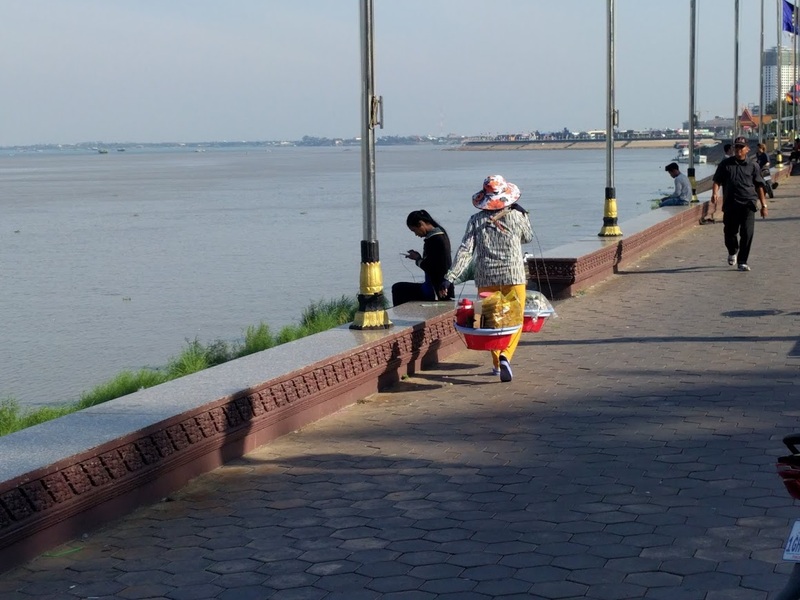 Of course there is plenty more to see and do in Phnom Penh – more wats, more markets, river boat cruises, etc. but we also needed time to relax so these will have to wait until next time! Cambodia has a long and at times violent history and we expected it to be obviously Communistic. However, we learned that it is a Constitutional monarchy governed under a Constitution enacted in 1993. The Monarch is chosen by the Royal Council of the Throne from among members of the Royal Family, and the Government is headed by a Prime Minister. It’s interesting to note that the Prime Minister, Hun Sen, is an ex-member of the Khmer Rouge! Cambodia is also listed in the top 20 most corrupt countries in the world although, as visitors, we were not aware of this. The country has much to do to fight widespread poverty, lack of political freedom, damage to the environment and low per capita income, however, it has the fastest growing economy is Asia and the tenacity of the people leads us to believe that – with time – these challenges can be overcome. As is so often the case, it’s the People who leave a lasting impression and, for that reason, Cambodia is definitely a favorite of ours! As expected, our time in Battambang was relaxing and refreshing. We’ve learned that we need time every now and then to unwind, get laundry done and catch up on computer work. This was the perfect place! 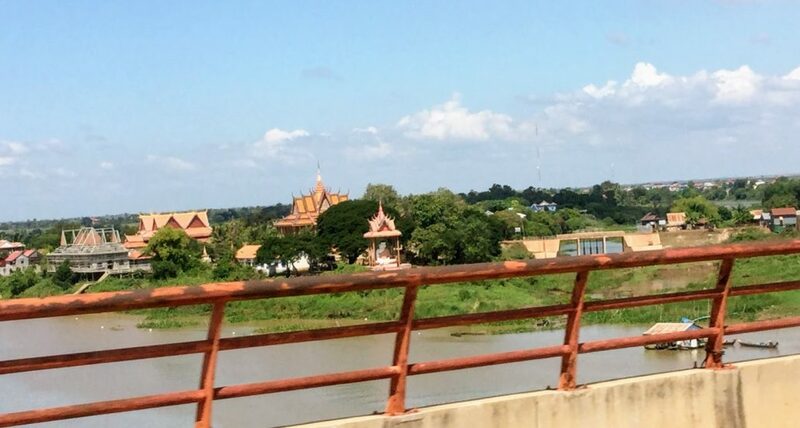 Pronounced Bat/dam/bong, the town is the second largest city in Cambodia, surrounded by scenic rice fields which produce enough rice to feed the entire country! Woken early one morning by the sound of cymbals crashing, drums beating and firecrackers exploding, we realized we were there for the Chinese New Year Celebrations! Hurrying downstairs we watched the Lion Dance, a traditional New Year dance performed for Good Luck. This time of year is also the Wedding Season and one afternoon and early the next morning we were bombarded by chanting and loud music blaring out from a loudspeaker strategically placed on the street under our window! 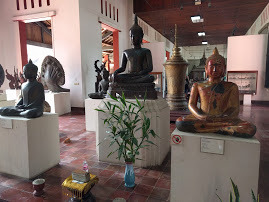 We didn’t do much in the way of sightseeing during our stay but the highlight was our visit to a Buddhist University located on the grounds of Wat Damrey Sor. Having walked around the town in the heat of the day, we sat on a bench under a shade tree and two monks stopped to talk to us. They pointed out that the building behind us was a Buddhist University and asked if we’d like to see the Library. First they had to eat a meal because it was getting close to 12 noon and they cannot eat anything after that time. We waited comfortably until they returned, removed our hats and shoes and spent 45 minutes in the Library which contained dictionaries in hundreds of languages, thousands of books about the Life of Buddha, students’ theses and the teachings of a famous monk called Maha Ghosananda known as the Buddha of the Battlefield. We’ll talk more about this experience in a later blog. Our plan was to experience all the different modes of travel during our six month journey so we chose a Minibus to take us from Battambang to Phnom Penh. The trip would get us there faster than on the large buses and, other than being a little cramped because a lot of the luggage had to be shoved under the seats, we were satisfied with the trip. 180 miles (290 km) for $12 per person including a bottle of water each. We had read on line about crazy drivers and the potential for accidents but our driver didn’t take risks and we had no close calls! 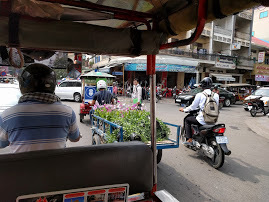 A tuk tuk took us to our hotel on arrival in Phnom Penh and we set about exploring the area and find a place for a late lunch. 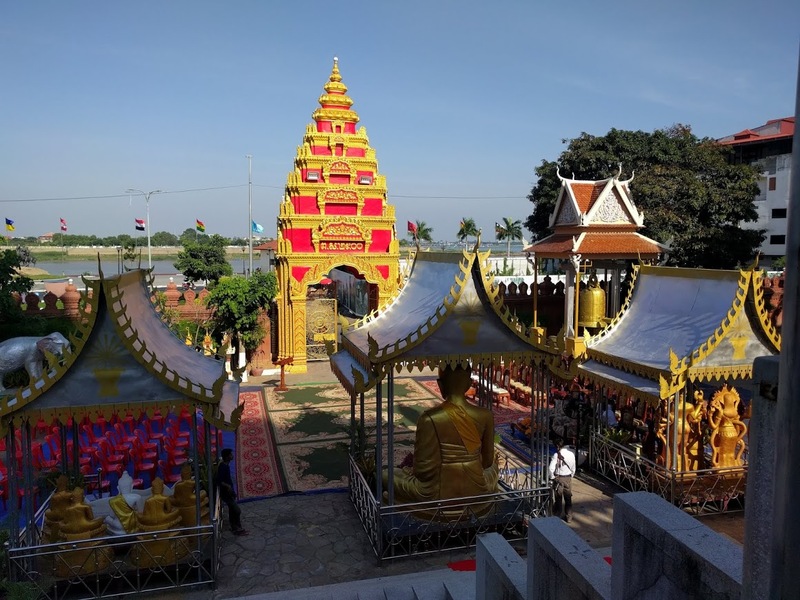 There is another sinister and deadly aspect to Cambodia’s past, and a visit to Phnom Penh brought this home to us in an unforgettable way. From 1975 to 1997, after years of conflict, the country was under the unbelievably violent rule of the Khmer Rouge headed by Pol Pot. A warning: what follows is hard to read and comprehend but we hope you’ll stick with us. You cannot fully understand Cambodia until you’ve visited the Tuol Sleng Prison (also called S-21) and witnessed the terrible work of the Khmer Rouge under the rule of Pol Pot. This prison was one of nearly 200 prisons across the country where people were tortured by the Khmer Rouge. Between 12,000 and 20,000 people were imprisoned at Tuol Sleng alone and there are only twelve confirmed survivors. We saw two of them on our visit. It is estimated that around 3 million people were killed by the Khmer Rouge – one in four Cambodians. We are not historians and our information comes from tour guides, the Internet and what we witnessed so we recommend you check out History http://www.history.com/topics/pol-pot which we think does a good job of explaining the events leading up to Pol Pot’s rise to power and the atrocities authorized by him. Wikipedia is another good resource. 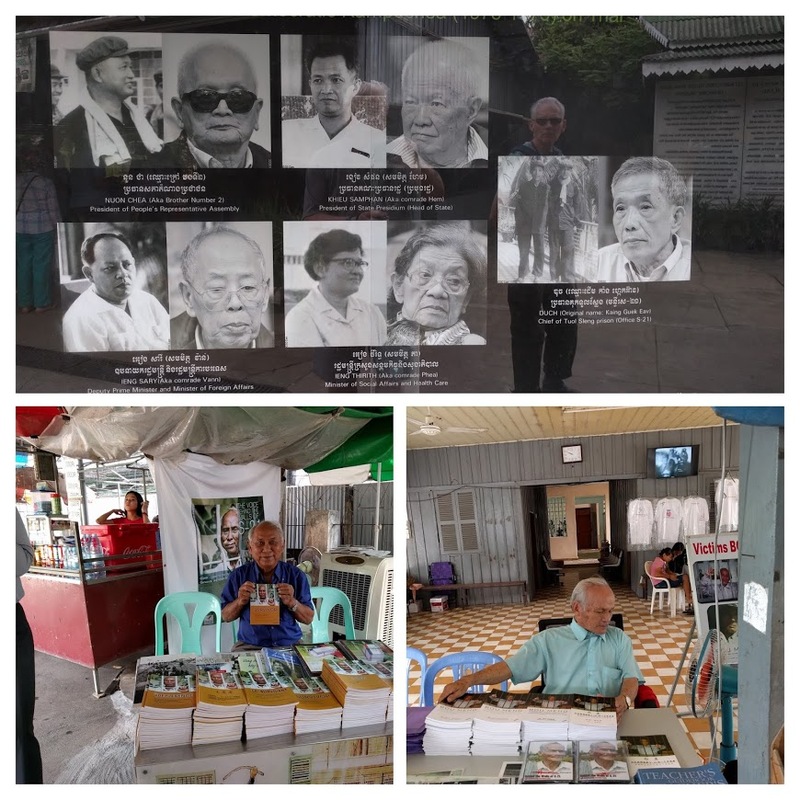 The first people to be detained and interrogated at Khmer Rouge prisons were the lawyers, doctors, teachers, religious figures and those who wore glasses – anyone who was, or looked, educated and professional. From then on, everyone was at risk for being arrested and interrogated. Books were banned, as was religion. As a result of U.S. bombing of Cambodia during the Vietnam War, people fled to Phnom Penh from the countryside. Pol Pot seized that opportunity to put in place a forced evacuation from the city to the countryside where people were required to work in the rice fields for extended hours, with one meal of porridge a day to sustain them. Anyone who failed to work as hard as the Khmer Rouge guards expected was arrested and taken away – never to be seen again. Untold numbers of people died from malnutrition and illness. One morning at our hotel we met a Cambodian couple from Vancouver, Canada, who were bringing their teenage daughter to Cambodia for the first time. The husband explained to us that when he was a young boy he, his parents and his siblings were forced from their home in Phnom Penh and marched out to the countryside. At some point his father decided to go back to the house for rice and other supplies and the rest of the family continued to their destination. It took his father many months to find them and by that time he had aged so drastically it was difficult for them to recognize him. During their time in the rice fields, he told us his younger brother developed a wound on his leg. There was no medicine and not enough food and it soon became difficult for him to work. The Khmer Rouge guards said he was lazy and took him away. They never say him again. When the Vietnamese Army overcame the Khmer Rouge Forces and the family and other workers were released, they returned home to Phnom Penh to find people living in their house. With no title to the property, they were forced to seek accommodation elsewhere. Eventually, after living in a Refugee Camp for many months, a relative in Canada sponsored them and they moved to Vancouver. We are sure harrowing stories like this are not uncommon and it will probably take many more years before Cambodia can completely recover from the damage caused by Pol Pot on the people of Cambodia. Unfortunately, Tuol Sleng was not the end of the road for most of Pol Pot’s victims. When they had been tortured almost to the point of death and forced to admit to whatever the guards wanted to hear, they were packed into trucks and driven some 24 miles (15km) southeast of the city to what is the most well-known of 300 Killing Fields throughout Cambodia. The area is peaceful today but the horrors of the past are clearly visible. An audio tour leads you through the grounds, from the arrival point where the victims, barely alive, were hit on the head with hammers, hoes, palm stems or anything hard and thrown into mass graves. Bullets were scarce and too expensive to waste on killing the victims. Toxic material such as DDT was sprinkled over them, many of them still living, and the grave covered over with soil. Loud music played from the “Magic Tree” to cover the groans of the dying so no one in the surrounding area knew was what going on. Babies and young children were killed at the “The Killing Tree” and thrown into a mass grave as well. Starting in 1980 the remains of nearly 9,000 people were exhumed from mass graves, leaving 43 of the 129 graves untouched. As you walk through the site you see bone and cloth fragments which rise to the surface as the soil is washed away by the rains. A Memorial Stupa was built on the site in 1988 and is the resting place for 8,000 skulls and bones of the victims. The remaining victims rest where they are, with no plans to disturb them. We did not enter the Stupa but sat on a bench under a tree and tried to make sense of what we had seen. 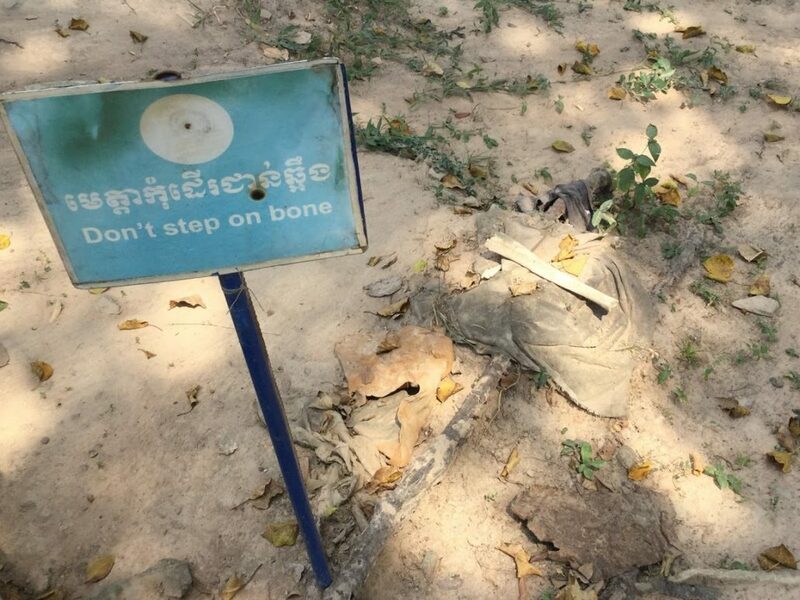 It may seem morbid to visit these two places but it is a key part of Cambodia’s history and a reminder that we have a responsibility to prevent this type of activity ever occurring again. Phnom Penh is a vibrant city and we found the people of Cambodia to be very welcoming and friendly. Many spoke English, and the dominant currency is the US Dollar so we felt right at home! There’s still more to see in Phnom Penh including the beautiful Royal Palace and the spectacular Wat Phnom. We’ll share that with you next time.